The oval shaped Luster custom USB is a unique looking flash drive that’s sure to leave a lasting impression. 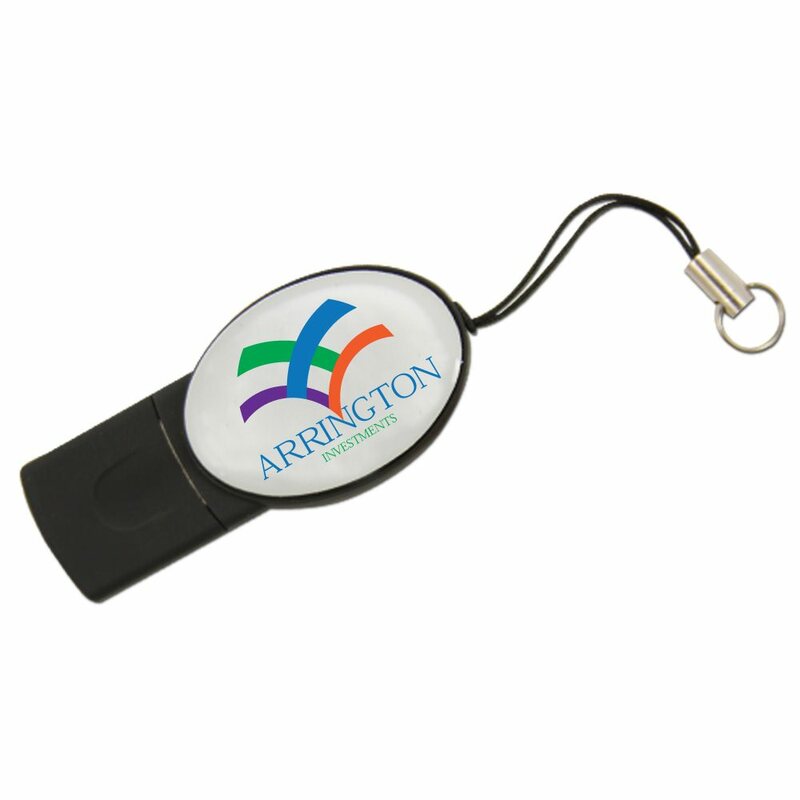 This custom promotional flash drive is made out durable ABS plastic and comes with a large imprint area that’s perfect for adding your logo with our FREE 4-Color Epoxy Dome Printing. 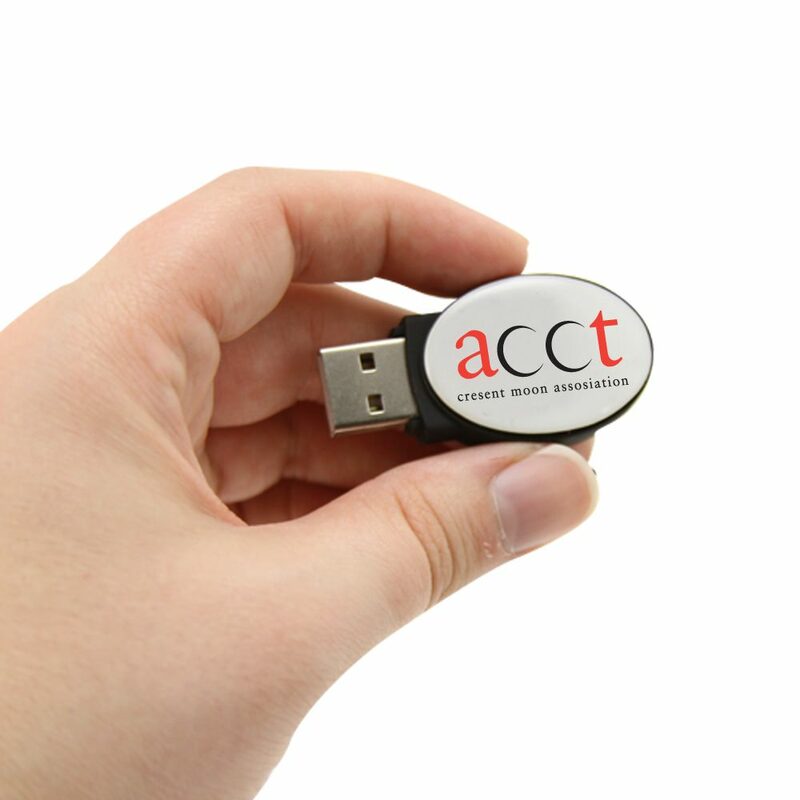 It comes with a built-in key loop for easy transport, up to 10 years of data retention, and a limited lifetime warranty. The Luster is available with free shipping! 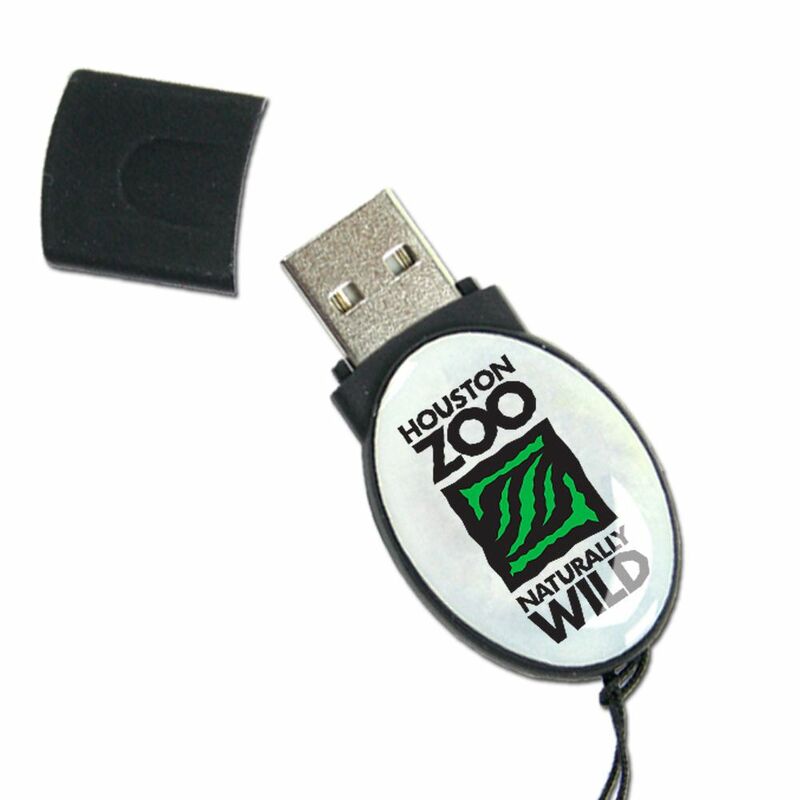 Round and proud, our oval shaped Luster custom USB is an eye-catching flash drive. This customizable drive is made of durable ABS plastic and comes with a large imprint area. It comes with FREE 4-Color Epoxy Dome Printing, so you can personalize it by adding your logo or brand to the Luster’s rounded epoxy domes. The Hi-Speed drive is protected by a removable cap and it comes with a built-in key loop, so you can attach it to belt loops, straps, laptop bags, and anywhere else you want to have this round wonder close at hand. This custom drive has storage capacities ranging from 128MB to 32GB, perfect for storing documents, pictures, videos, music, presentations, multimedia, and other files. 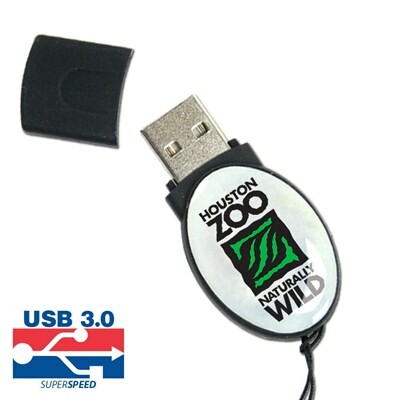 It comes with a shock resistance of 1,000G, up to 10 years of data retention, and a limited life warranty. 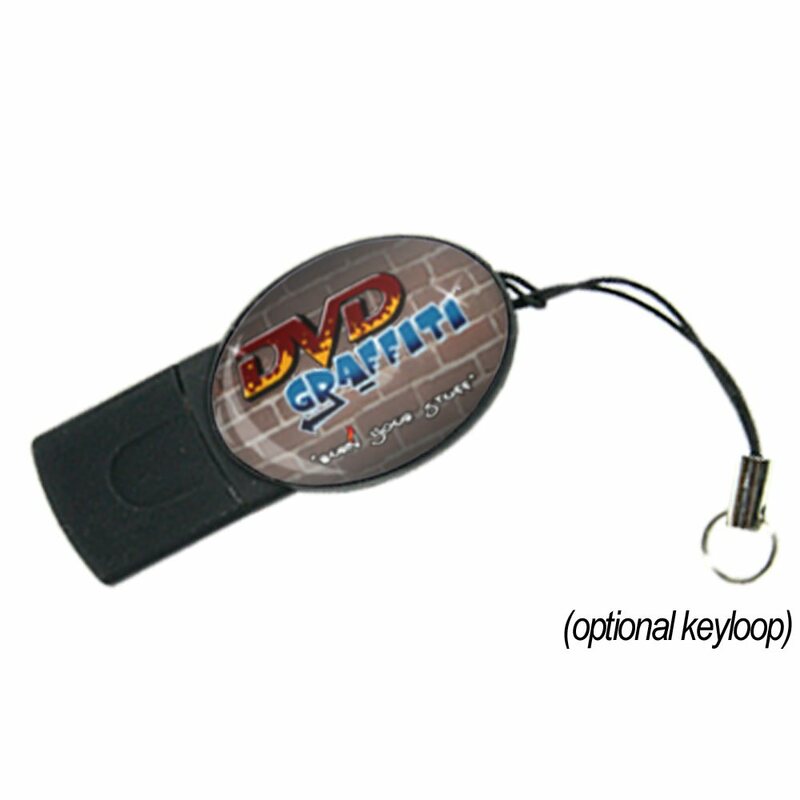 It’s compatible with PC, Mac, and Linux. The Luster custom drive is available with FREE shipping. The turn time for the 4-Color printing is within 10 business days so you won’t have to wait long to get your high impact epoxy dome personalized drives.